We are spending day five of the six days of bum wine Christmas with a special edition of forty of the week and Ballantine Ale! I know it's not a bum wine, but since it's Forty Friday I felt this was a fitting occasion! 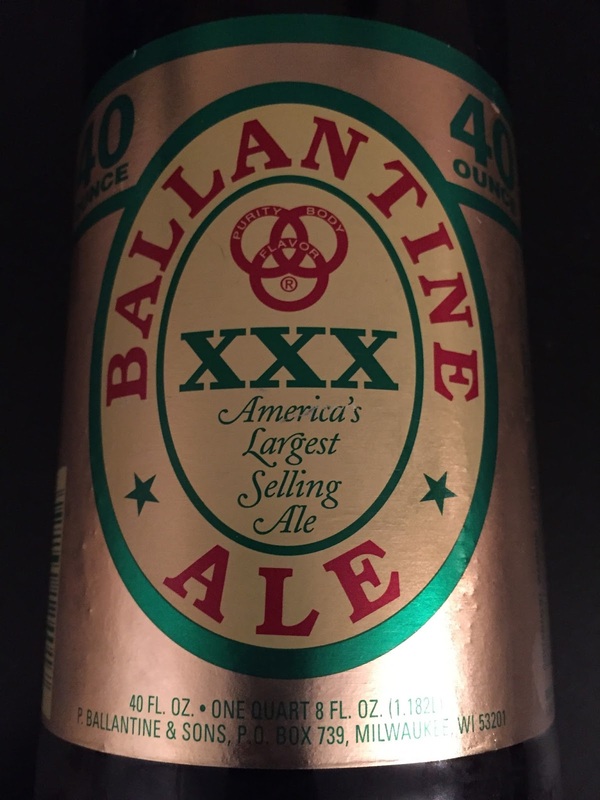 Now this is only the second time that I have given Ballantine Ale a try. When I had a 40 of it a few years ago I had to say I was not very impressed at the time. Would it be better the second time around? Did I get a bad batch the first time? 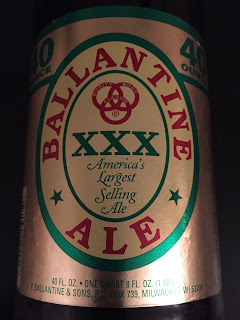 I have no problem admitting when I'm wrong, and I was wrong about Ballantine Ale. I have to say it was very enjoyable this time. It does have a somewhat hoppy taste, but it's not too overpowering. The ABV of Ballantine Ale is 4.85% so it's a tad on the lighter side, which can be a good thing when drinking it in a 40oz bottle. 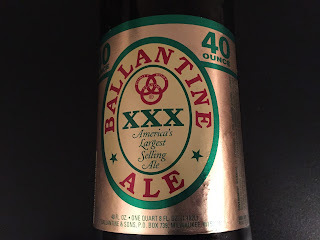 Ballantine Ale is the BWB Forty Of The Week! Grab a bottle and enjoy!